In many ways, WeWork is a unique experiment: over 200,000 people working together in more than 200 buildings. We want to understand how these environments influence people so that we can identify successful design patterns that improve peoples happiness, productivity, & sense of community. How do we evaluate & decide between two alternative spatial layouts? How do physical attributes of our buildings (such as the size of windows) influence peoples perception of the overall design? Do meeting room bookings tell us something about an individuals wellbeing or a companys performance? As a scientist at WeWork you will have access to large study population of people working in some of the worlds most innovative offices. You will have the opportunity to collaborate with architects, data scientists, usability researchers, & other members of the applied science team. 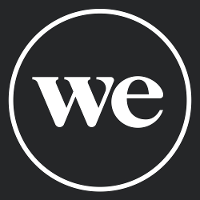 The research that you produce will directly influence design & management decisions at WeWork that will in turn help make thousands of people happier, more productive, & more connected to their communities. Developing a long-term research agenda focused on the design of the workplace. PhD (or a masters with equivalent experience) in Environmental Psychology, Design, Sociology, Anthropology, Social Science, or other related research discipline. Experience conducting research that investigates how environments impact people (for example, research into place attachment & identity, workplace strategy, or research that examines the impact of interior design, architecture, urban planning, or industrial design).